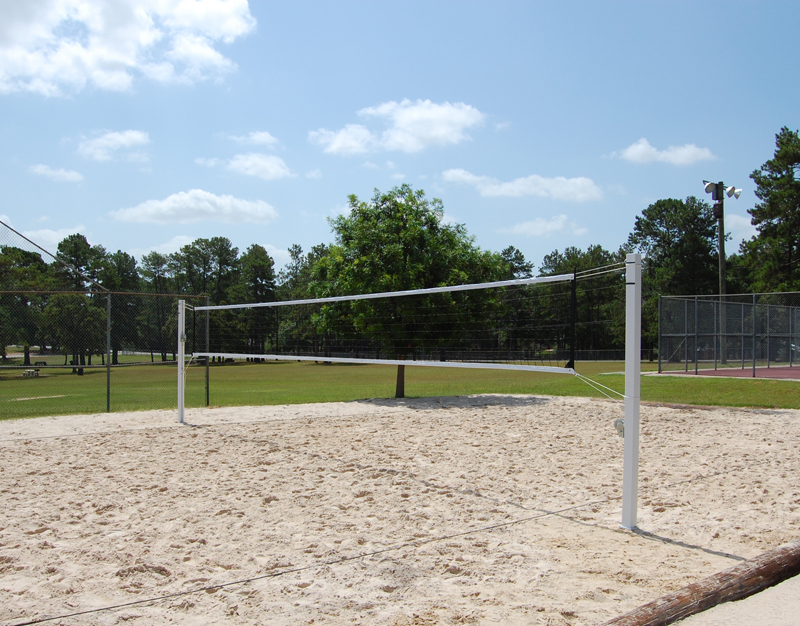 Heavy-duty multi-sport standard perfect for men's and woman's volleyball, pickleball, badminton and even tennis. 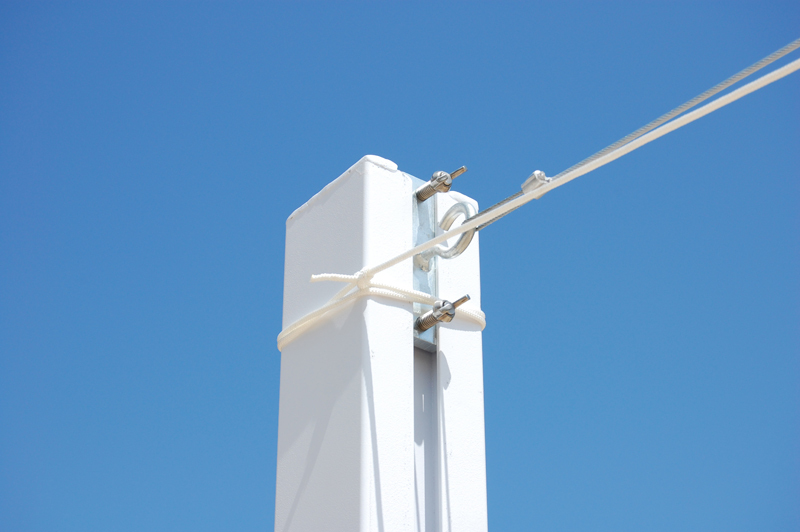 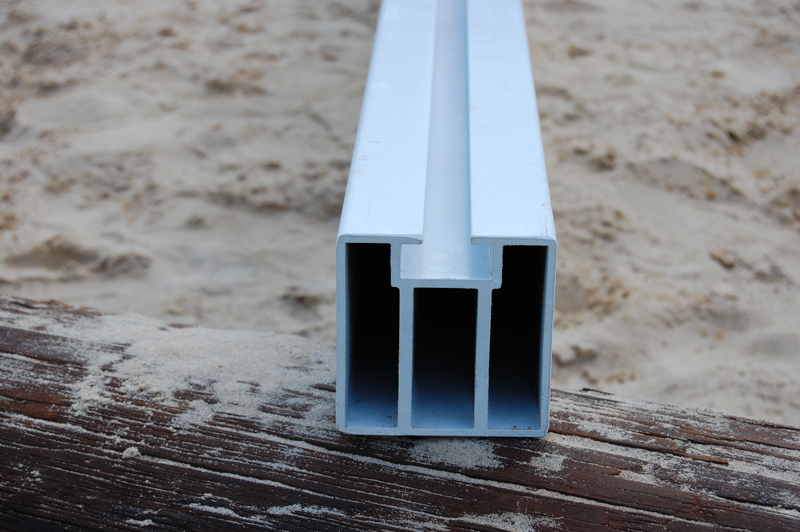 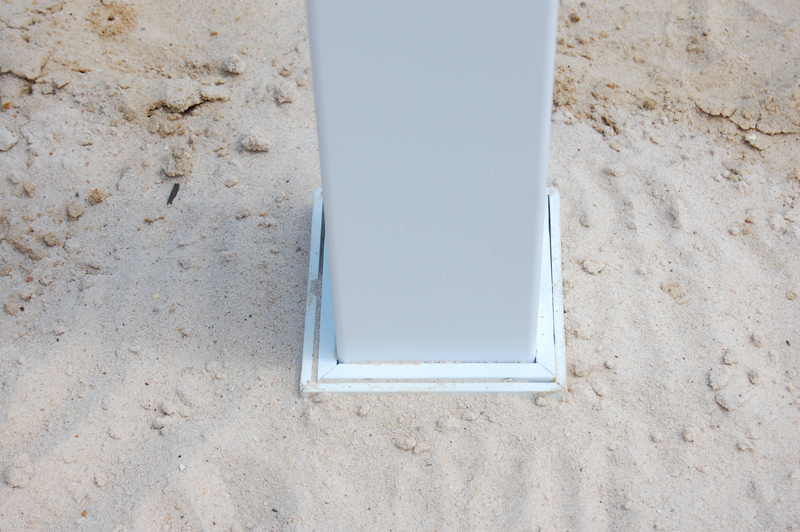 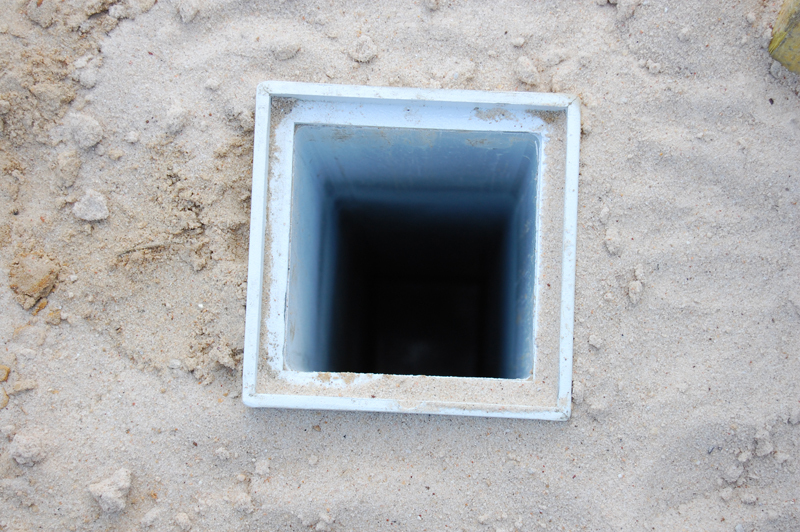 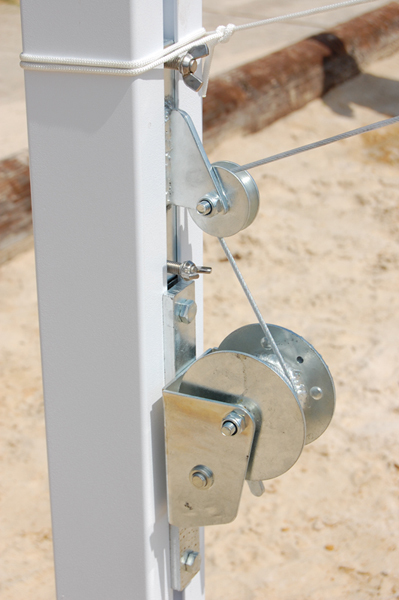 High strength square aluminum standards have a channel running the whole length of the standard allowing for infinite placement of net, wench and stay. 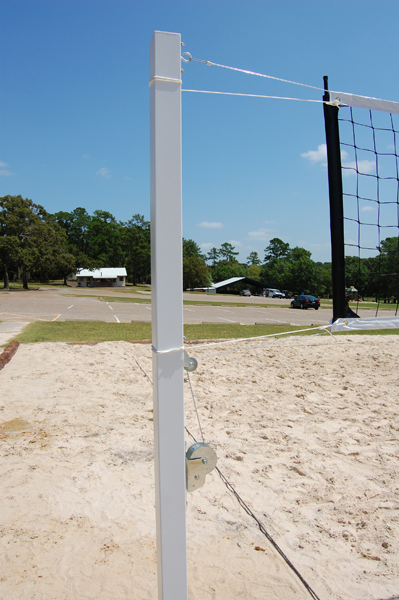 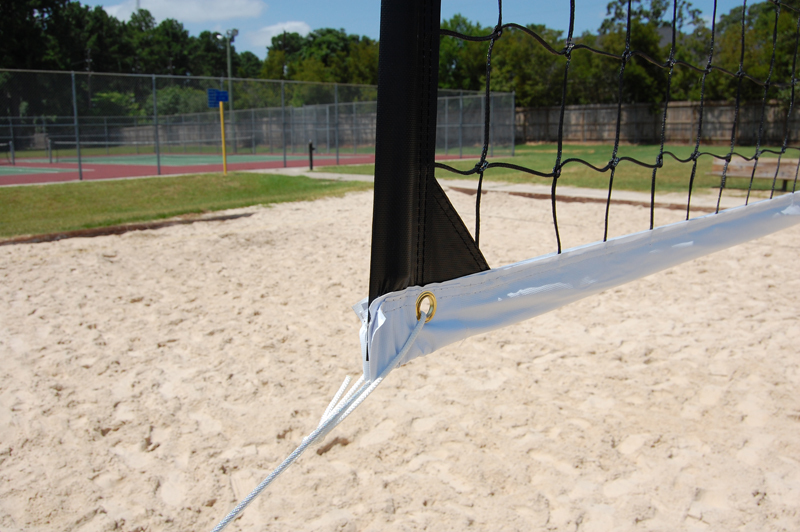 Heavy-guage cables along the top and bottom of the net ensure Spike It Gold will hold up in institutional applications like parks, playgrounds, schools and churches.